The Economic Concept Notecards are a unique way to share your appreciation of economic literacy. 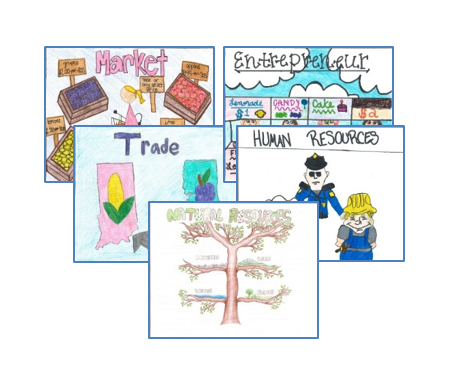 These student-illustrated notecards feature creative images of economic concepts. Each pack of Economic Concept Notecards contains 12 cards (4" x 5.5"). Great for any occasion! Buying 5 or more notecards sets? Get a reduced price by ordering at the bulk rate from this site: KEP-127-BULK.